Brecksville High School sent 11 kids to Virginia Beach to compete in the NHSCA National Tournament. The group won a total of 40 matches, with all 11 athletes winning at least on match. 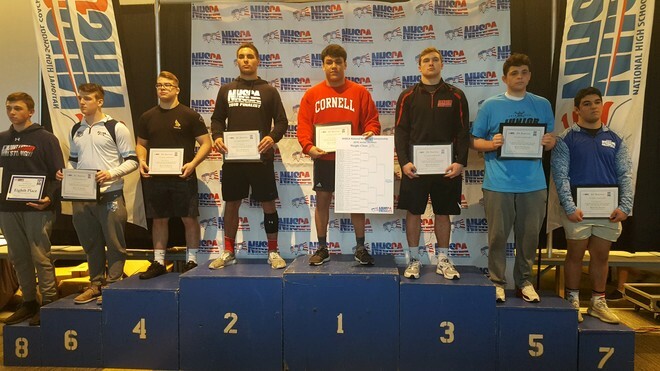 Brecksville had two wrestlers earn All-American honors... Sophomore 182 Ben Vanadia finished 3rd in the Nation, while Junior 195 Ethan Hatcher was the NATIONAL CHAMPION. Hatcher becomes the first ever NHSCA National Champion in Brecksville Wrestling HISTORY!